During a recent movie-nerd conversation, I realised that my engagement with Hindi-film songs had always mostly been at the level of music and rhythm – rather than the lyrics, which were dimly or subconsciously registered but rarely thought about, unless someone pointed out a specific clever line or imagery. Perhaps this is a kink of the brain, or perhaps it comes from growing up in the 1980s when too many mainstream songs seemed built around lazy permutations of “jaane jaana” and “deewaangi”. At any rate, this has been a gap in my education as a professional critic. It also means my perspective while reading Rajiv Vijayakar’s new book Main Shayar Toh Nahin was that of a layperson, and from this perspective the book worked well. Despite his obvious passion for his subject, Vijayakar doesn’t talk down to the reader or take our knowledge for granted. Early on, for instance, he provides clear explanations of things that might seem very basic to the music buff, such as the mukhda and antara, complete with helpful examples from famous songs. Among the things covered here are the back-stories of major writers such as Majrooh Sultanpuri, Anand Bakshi, Shailendra, and Gulzar, how they became part of this or that filmmaking crew, their individual sensibilities and temperaments, the compromises some of them made over time. Vijayakar looks at lyrical trends over the decades as well as types of films and directors – how did the musical sensibility of a Raj Kapoor differ from that of Manoj Kumar? And he quotes the poet Neeraj as saying that lyricists are greater than poets because while the latter can afford to cater only to their own creative inclinations, the lyricist must work as part of a team, keeping the film’s tone and the projected audience in mind – even as he maintains his own creative integrity. 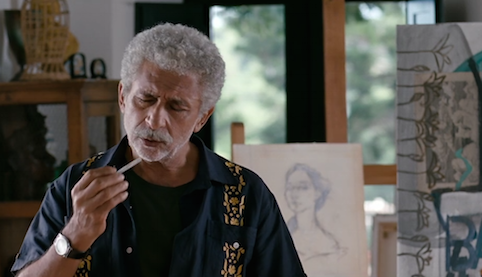 The canvas is a very large one – Hindi-film lyrics and lyricists from the 1930s to the present day – and the book does sometimes struggle with this. 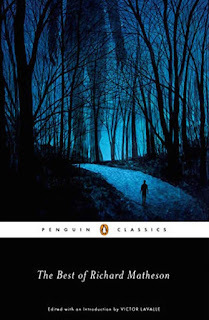 In the section about specific writers, there is a long chapter, “The Dream Merchants”, about 18 major lyricists, followed by a shorter one titled “They Also Mattered” – and then the section trails away into a bare-bones, Wikipedia-like listing of “other significant names” and “rare talents”. But taken as a whole, this is not the impersonal book I had feared it would be from a cursory glance at the contents. Though he has a journalistic sensibility and includes many quotes from old and new interviews, Vijayakar allows himself a voice, airs his views on the better or lesser work of his subjects, shares anecdotes such as how, after listening to a song from an early 1970s film as a child, he found he had memorized the lyrics of both antaras. 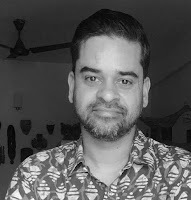 (“Great lyrics are remembered without any conscious effort in that direction.”) He shows the egalitarianism of the true buff, writing with equal enthusiasm about the high-minded soft-socialist songs of the 1950s – when nation-building was a major concern – and about more contemporary wordplay in genre films like Go Goa Gone. 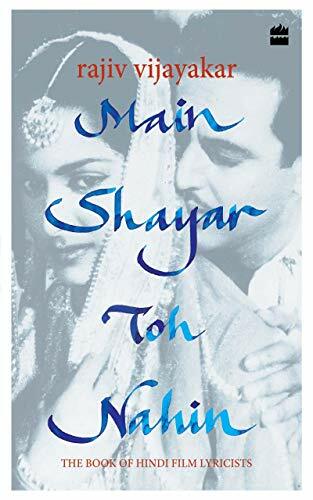 Main Shayar Toh Nahin isn’t a book you will read for the quality of the writing, or for a cleanly structured approach: it makes random leaps, there are patches of repetition. But by the time I reached the last page, I felt better-educated about a subject that had been something of a mystery to me. Throughout, language is used to distinguish between two sets of people and ways of life. While Gunga and Dhanno speak the rustic-sounding (to our urban ears) Awadhi of the village, Jumna and the girl he loves, Kamla – both of whom have been educated in the local school – are more reserved in their speech. But this doesn’t necessarily mean that the latter characters are wiser or more “sophisticated”, because this is also a tale about the difference between textbook education and lived experience. 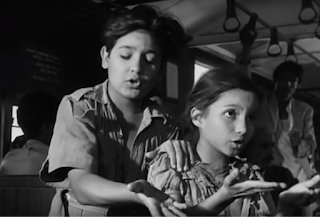 In early scenes, while the child Jumna dutifully learns and recites lines like “Chori karna paap hai, jhooth bolna paap hai” from a book – and sings “Insaaf ki dagar pe / bachon dikhao chalke” in school – his older brother is learning about the many injustices of life firsthand. 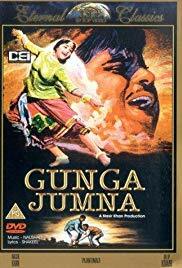 Trivia: Gunga Jumna was co-edited by Dilip Kumar’s friend Hrishikesh Mukherjee, even though the latter – who had begun his career as an editor – was an established film director by this point. 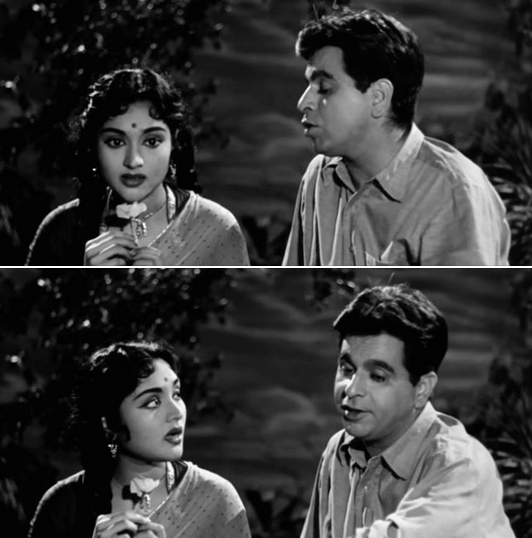 Trivia 2: Vyjayanthimala, who, as a south Indian, was expected to struggle with the Awadhi dialect, recalled in an interview that Dilip Kumar recorded her dialogues on tape beforehand and asked her to listen to them before doing a scene. 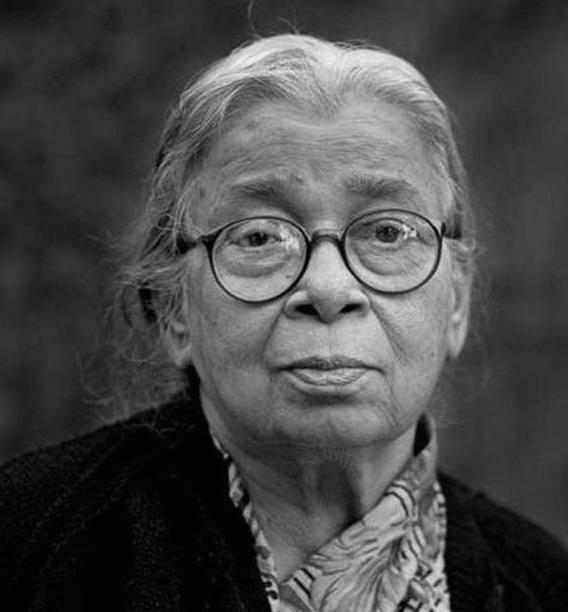 Introduction: Mahasweta Devi’s novel Laayl-e Aasmaaner Aayna (literal translation: “Laayl-e Aasmaan’s Mirror”) was published in the original Bangla in the early 1960s and is set approximately a century earlier. Unlike Devi’s more political works, this is an opulent romance, centering on the tempestuous relationship between Kundan – born into a family of thugs and raised by his coldblooded grandfather – and the courtesan Laayl-e Aasmaan. Moving in and out of their story are a number of other characters, most notably the young sarangi player Bajrangi, servant and close friend to Kundan, and possibly his conscience-keeper, who also shares a complex relationship with Laayl-e Aasmaan. This is a tale about passion and responsibility brushing against each other. It is about a woman making a long journey – from being a scared young girl named Munni to a much-desired courtesan who can break hearts and cause turmoil – at the risk of being branded a witch. At a broader level, it is about the different ways in which men and women usurp the things they want or need, and about their relationship with power: what does it mean to operate on the outskirts of “respectable” society while also grappling with universal human emotions? 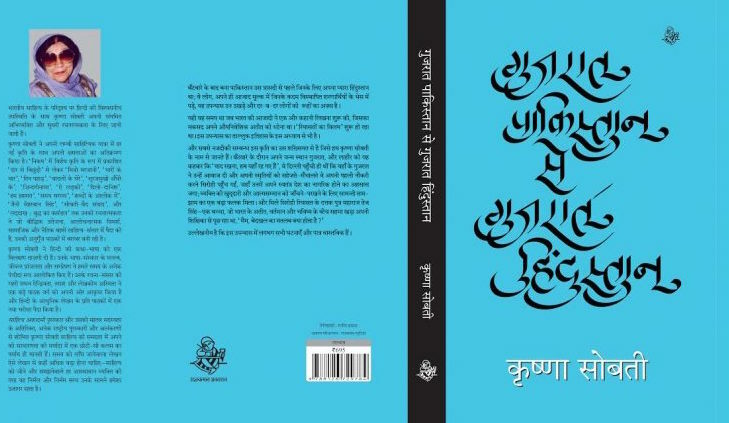 More than fifty-five years after its publication, Laayl-e Aasmaaner Aayna has been translated into English for the first time, as Mirror of the Darkest Night. The translator, Shamya Dasgupta – a nephew of Mahasweta Devi – speaks about this book and its celebrated author. Laayl-e Aasmaner Aayna is your first project of this length as a translator. It’s unusual –perhaps especially so for a male translator – to start with a writer like Mahasweta Devi, much of whose work is considered difficult to read. At the same time, this is, as you point out, one of her more accessible, plot-driven works. Tell us something about your relationship with this book, and with Mahasweta Devi’s oeuvre in general. It’s my first project of any length as a translator, though I rather enjoyed the process. Mahasweta Devi’s books challenge existing power structures and politics, and that, I agree, can make for difficult reading. Her non-fiction writings also make her political commitments clear. But I think her writing is quite accessible. The success of her books are evidence, I think, not only of how powerful her writing was but also of how compelling and relatable her works were, and continue to be, to readers. I grew up with her books around the house, and certainly feel a bond with them. I loved her children’s stories growing up. I liked many of them, more than the stuff some of the more celebrated “children’s authors” were dishing out at the time. I do recall thinking, then, that she didn’t talk down to her young readers as many of the children’s writers did. That I liked, as, I guess, all children do. So, yes, she didn’t only write political novels! I did read her more literary books, like Aranyer Adhikar, Hajar Churashir Maa or Chotti Munda Ebong Taar Teer, or the short-story collection Stanadayini, as a boy. But I was young, growing up privileged in Calcutta, without too many cares, and perhaps I did not fully grasp their import. Only later readings and a bit more political awareness have helped me understand that they were tremendous literary achievements. It was with Laayl-e Aasmaner Aayna that I feel a certain intimacy. Devi did write a lot of ‘other stories’, for children, especially, and tales like Laayl-e Aasmaner Aayna (not too many of these, though, from what I know). And I think it is interesting to translate these too, because it shows the breadth of her imagination. I’m not sure I could translate one of her political works, if I have the education to. But I wanted to try this one. Translating Laayl-e Aasmaner Aayna was a happy coming together of things for me. I knew her well, and when I wrote my first book, on Indian boxing of all things, a copy of it reached her. She must have been in her mid-80s then, and she called up—twice—very, very excited and told me how impressed she was with the book, and my writing. I’m sure she hadn’t read it, she had no reason to. But it was during that conversation I first suggested that it might be worth translating Laayl-e Aasmaner Aayna. She was happy for me to do it, after first asking if it hadn’t already been done. It hadn’t. So we were in business. 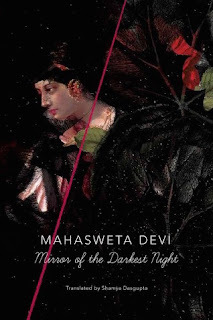 Asking as a non-Bengali who has known of Devi mainly as a towering figure whose name frequently came up in conversations during the build-up to the literature Nobel: what in your view is her main importance as a literary figure? And notwithstanding your personal affinity for Laayl-e Aasmaaner Aayna, what would you consider her most “essential” work? I am certainly not qualified to discuss her place in literature, but as I said, Devi’s ‘highbrow’ status did not cost her her marketability, that’s for sure. And that to me says something about her writing. There is so much writing in languages across India that we still don’t know about. At least I don’t. We are fortunate that Devi was translated and so widely. In my travels across Kerala, I was struck by how well known she is there, and how many people have read her in Malayalam. Laayl-e Aasmaner Aayna may not be essential reading for people trying to discover Devi, I’d agree. She was the literary activist, and Aranyer Adhikar, stories like Stanadayini and Agnigarbha, are ‘essential’ reading when it comes to her. My wife, a Devi fan, is partial to Chotti Munda. But to me, Devi was a storyteller just as much as she was an activist. I believe The Why-Why Girl is quite popular now in its translated avatar. To me, that was so her too. She was quite obsessed with mainstream Hindi films, and Laayl-e Aasmaner Aayna, or Mirror of the Darkest Night, perhaps comes from that side of her imagination. If you’re not a Devi-discoverer, and just want to read a very good novel, or find a part to her that you, perhaps, didn’t know existed, Laayl-e Aasmaner Aayna makes the grade, in my opinion. I read it engrossed for the tenth, or fifteenth, or twentieth time when I was working on the translation. This book is set largely between the 1850s and the 1870s. Did Devi do a lot of other historical fiction, or is this an anomaly? Though the narrative isn’t pedantic – when it provides information about the thug culture, courtesan life and so on – it does feel like a lot of research would have gone into it. Did she often explore milieus and periods other than the one she had firsthand experience of? Yes, you’ve got the period right: it probably goes on till a bit after the 1870s too, and the flashbacks take place sometime before the 1850s. Her first book, interestingly, was a novel, a personal history, about the Rani of Jhansi. From what I know, she spent a lot of time researching her subject, she travelled a fair bit for it too, interviewing people, and spent time in the libraries in Calcutta, which were probably the best in the country at the time. She wrote a lot on the history of the tribal people and communities she worked with too, recording oral histories and the history of their struggles. Aranyer Adhikar, about the tribal leader Birsa Munda, would have come out of that work. She did do historical fiction. As far as I know, not a lot of period fiction of the genre Laayl-e Aasmaner Aayna belongs to, though. The Lucknow-Calcutta relationship is a much romanticised one in Bengal. The Nawab being banished to Calcutta, the courtesans and thugs and all else, it’s a subject Bangla writers and film-makers have explored over the years. A lot of her work was research-driven, so this one must have been too. It certainly gives the impression of being well-researched. Not just Lucknow, but the references to southern India, Tipu Sultan’s battles with the British, the French involvement in it, even to musical gharanas, particular ghazals and their writers … either she grew up knowing about all this – most likely not – or she researched it, which is more likely. Devi is often described as a “feminist writer”. These can be reductive labels, but it struck me while reading this book that even within the confines of what might be called a genre work – a melodrama about tempestuous romance, thuggery, family feuds and betrayals – there is a subtle comment on a woman who is the centre of attention for many people, who makes her own decisions and serves as a plot-mover… and of course, given the period and the setting, is judged for it. Do you see Laayl-e Aasmaan as one of Devi’s major protagonists? How does she compare with other Devi protagonists like Draupadi or Jhansi ki Rani or “Hazaar Chaurasi ki Ma” (the mother of 1084)? You know, that’s a tricky question to answer. I would not be making that pitch for the book: the next Draupadi (Dopdi), the Devi heroine you didn’t know about! For me to say that Laayl-e ranks up there with Draupadi and the others would be silly. Those are powerhouse stories, searing; this is a heartbreaking, uneasy one. This is not a story that came out of her political activism, as those did. It is, at its core, a dark romance—and a romance of the era in question. That said, I think Laayl-e is of a piece with other Devi women, even Draupadi. Like many Devi heroines, Laayl-e is a feminist creation. Strong, she certainly is. And her development and growth over, say, 30-odd years is a remarkable story in itself, especially the fact that she does it almost entirely on her own, on her own terms. She’s judged for it, of course. We still judge women for every second thing they do. I just read about a woman Aussie Rules footballer being judged for not playing with the sort of aesthetics that appeal enough to men. But, on the surface, Laayl-e seems to thrive on the negativity. She does not care about being liked or loved. She is complex and she doesn’t exist to please—loving and sensitive, ruthless and cruel, vulnerable and powerful. She isn’t operating in a canvas that is bigger, politically and socially, but Laayl-e is negotiating her small, complex, hostile, very male world on her own terms. She’s certainly one of the great characters I've come across. There is also something unusual and invigorating about a woman writer dealing at length with the thug culture. It provides a shift in perspective, allows us to see another side of these men than one might in a straight action story. In the Kundan-Bajrangi relationship, for instance: Kundan’s feelings of guilt and responsibility gradually turning into a deeper love, one that perhaps doesn’t even need to speak its name. Or in the insights into men who grow up without a maternal influence in their lives. Is this an aspect of the book that resonates with you? I did think about family and how she uses that to mould the story. Bajrangi is orphaned as a baby, while Kundan has a large family he feels no attachment to, and he ends up hating the person he was closest to … Laayl-e kind of binds them together and also makes them drift apart, but not quite. It’s fascinating how those dynamics work in the book. But what you say about a woman writer and a subject is interesting. It does not naturally occur to me that some kinds of subjects are male bastions, largely. But they are, aren’t they? It’s certainly a fresh perspective, perhaps of the sort we might get if Reema Kagti were to remake Sholay (I’d love to watch that). 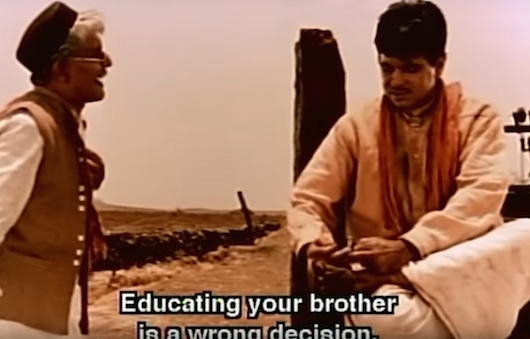 It’s curious—it’s Laayl-e’s story, she is the pivot here, but the Kundan-Bajrangi relationship is the one that really moves you; maybe that is the pivot then? The circumstances in which they come together, their shared history before that, the fact that Bajrangi never knows the full story, how the relationship plays out over time, the power dynamics between them… The world of men, the thug culture, rather than that of the women, the courtesans, is the one that is explored more, isn’t it? I wish I had asked Devi these questions when I had the chance. Is there anything about her writing style, use of language, or narrative structure that poses special challenges for a translator? Give examples if possible. No, which is why I felt I could do a decent job of translating it. It’s so smooth, so languid, her prose. Very little unnecessary embellishment, very little that’s superfluous. The structure is, to my mind, close to perfect, moving back and forth in time seamlessly. And it’s very visual too. I will, however, say that I got the impression that it wasn’t edited much. For example, a character—irrelevant, could easily have been done away with—appears in one place without an explanation. An editor would have questioned it. In another place—just one place in the whole book, mind—she goes on a bit about an elderly woman’s dementia. In an ideal world, a tiny editorial touch might have tightened it some. But these are very minor quibbles. On a related note, my own editor had a clear guideline: I had to match Devi line for line, as far as possible. This was a challenge, because there’s a tightness to the way we speak in English and an expansiveness to the Bangla. But Devi isn’t around today to approve the translation, so I understand the caution. And that’s a big regret: I wish I could have worked with her on this. It would have been a richer translation, as is the case with any translation where a translator works with the writer and they both understand both languages, and I would have learnt so much. How is it that this book was not translated for over 55 years? And are there other such works in her oeuvre that have been neglected (perhaps because they didn't fit the general perception of her as a writer)? I think a fair bit of Devi’s work has been translated, and by people like Gayatri Spivak, and that explains her celebrity beyond Bengali and Indian shores. Not all, of course, far from it. 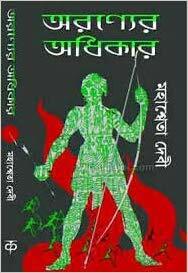 Oddly, Aranyer Adhikar appears to not have been translated—at least I couldn’t find it. It’s an iconic work. Perhaps even her definitive work. Since I’ve read her chiefly in the original, and because I was not looking to maintain any sort of continuity of voice, I did not go back to her English translations. In any case, the translations vary vastly, even in voice. I remember Devi telling my wife once that she really liked her own brother Maitreya Ghatak’s translation of her essays. I forget what the collection was called, unfortunately. As for Laayl-e Aasmaner Aayna, search me. Maybe because it’s not as Devi as one might expect, not the sort of book her readers—beyond Bengal—would expect. I don’t know. I have no idea. You’re probably right. But that doesn’t explain why Aranyer Adhikar has not been translated. It should have been the first of her books to be translated, I’d say. Maybe it’s been done in other languages and not English? I don’t know. 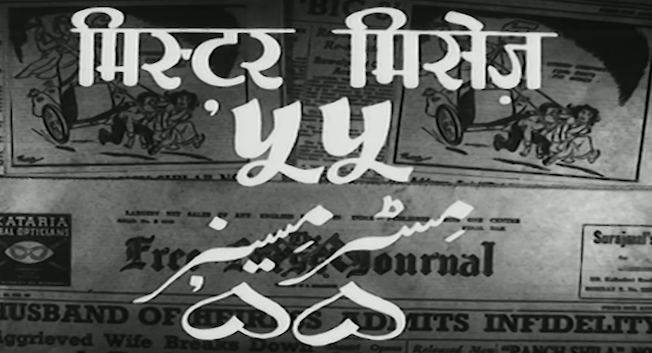 In your Translator’s Note, you mention something intriguing: that Devi, in her very old age, barely remembered this book, but she had a dim memory of the film adaptation (the 1968 Sunghursh) and attending the premiere. Which is ironic, since the film is a very loose adaptation that takes liberties with Devi’s story while making it more about the macho conflicts between the male characters. What are your views on something like this being done with her work, and how would she have felt about it? Okay, so most of this is conjecture and only some of this from what I know of Devi. She loved mainstream Hindi films. In the old VCR days, she watched a fair bit of Amitabh Bachchan or Mithun Chakraborty and whatever else was popular and available at the time. She was also a big fan of Dilip Kumar, Dev Anand and Raj Kapoor. Balraj Sahni too. So that could be part of the reason she remembered the premiere so clearly. For someone in her mid-eighties, forty-odd years after writing one of many, many books, not to mention shorter stories, who can blame her if she’s a bit hazy about an early work? 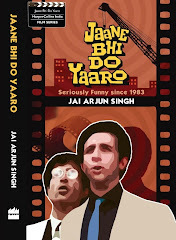 You’re right, the movie is so different from the book, which is really Laayl-e’s story, unlike the movie which is about Dilip Kumar and Balraj Sahni, and Jayant and Sanjeev Kumar to an extent. All these powerful men. Vyjayanthimala seems almost peripheral in the whole business. And the character of Bajrangi, which is as vital as that of Laayl-e, is ignored altogether till Dilip Kumar’s Kundan adopts that persona at one stage. It’s quite sad, really. Also, although there is a filmi-ness to the book, it is still a feminist tale, which is completely lost in the film. At the same time, the book is so epic in scope that I have trouble imagining it as a three-hour film. It will have hurt her, I am guessing. But I am also guessing that in the 1960s, when she was still in her early years as a writer, she might have let it go, keeping the bigger picture in mind, of being known and read beyond Calcutta and Bengal. I say this only because she remembered being garlanded on stage by Balraj Sahni, recalling it with fondness, as though it was a big deal. I could be completely wrong about all of this, obviously. It’s interesting, what you say about her liking mainstream Hindi films. For someone looking at her from a distance, it seems a bit at odds with her reputation as a fiercely political writer who was – among other things – very involved with tribal rights. You, of course, would have seen a very different side to her, as someone who was a much older aunt. What were your strongest impressions of her? Was she someone who shifted easily, in the same conversation, between having a fun, laidback chat and getting sombre/didactic about social problems? There were many sides to her, yes. As, I guess, it is with everyone. I don’t claim to know very much about her, but I can vouch for the fact that she was not a humourless didact. She sang, she told stories, she supported young people in the family when they were doing unpopular things, she was a master storyteller … some of my older cousins experienced this more than I perhaps did. But that’s to be expected, I guess. By the time I was old enough to have a sense of things about me, she was already a huge name in Bengali literature. I am talking about the 1980s, say. But, as is often the case in a family set-up, her fame was irrelevant to us. She was the matriarch of the family by the mid-1980s, by when her parents—my maternal grandparents—had passed away; to my mother, Devi was the first–and often only—port of call if there was a crisis, something needed resolving, and things like that. Ma used to refer to her as a tiger—‘baagh’, she used to say, the word for tiger in Bangla. And that had nothing to do with her being a famous person. She exuded strength, and I don’t say this loosely. She was a very strong-willed person who lived entirely on her own terms—I am aware I said this about Laayl-e too—and did what she wanted to. She chose her lifestyle, her ways, her loves and peeves … When we met later, me older, she and we (my wife and I) had more than one serious conversation, and she never talked down to us, two upstarts in their thirties who thought they knew everything about everything. My impression is that she had extremely strong opinions about a number of things and that she was also someone who enjoyed talking to others and engaging with them, not thrusting her opinions down their throats. Would you consider translating another of her books? If the opportunity—and the right kind of book—comes along, I’d love to work on more translations. It’s a fun process, frustrating every now and then, but very rewarding. Of Devi’s other works, there are some stories I would love to translate, but I haven’t given this any thought. I also don’t know if I have the education and expertise for it. Also, I first need to know from readers if this one has come out well. If it has, maybe more. This is an embarrassingly obvious thing to say, but some very exciting scenes – in thrillers or action films – have involved speeding vehicles. The car chase, or the out-of-control car, have held audiences in thrall since the days of Buster Keaton and even farther back. Just off the top of my head, there’s the brilliant night-time sequence in Hitchcock’s North by Northwest where a heavily drunk Cary Grant struggles to control his car after escaping his would-be assassins. Or Steven Spielberg’s debut feature Duel, set largely on a highway where a businessman is pursued by a menacing truck. And never forget the 1980s Hindi film trope of the “brake fail” (brought about by sabotage or random bad luck). Many nerve-wracking scenes have also been built around a car that isn't mobile or functional. Sujoy Ghosh’s recent thriller Badla (and the Spanish film that it is an official remake of, The Invisible Guest) offers us, in the space of a few minutes, both a car crash and a car that refuses to start. The latter is essential to the narrative – it creates a complicated tangle for the protagonists, who would have preferred to flee the accident scene. Precisely because the car doesn’t move, the plot shifts into fifth gear. But there is another moment, from a 75-year-old film, where the temporarily stalling of a vehicle has a different effect. 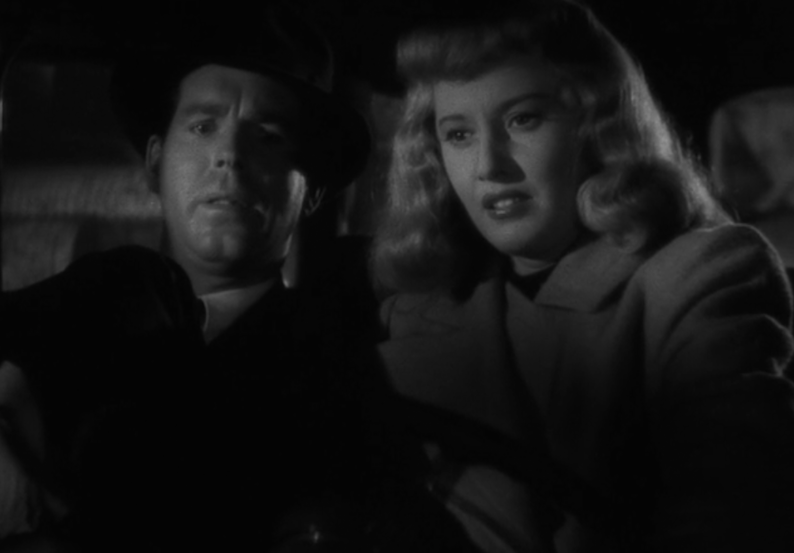 Midway through Billy Wilder’s 1944 noir classic Double Indemnity comes a scene that is both incredibly tense and a very funny Fourth Wall-breaker. Phyllis (Barbara Stanwyck) and Walter (Fred MacMurray) are executing a meticulously thought out plan to get rid of the former’s husband, so they can collect on a large insurance policy. This involves Walter posing as the physically disabled husband, complete with crutches, to create the impression that the victim (who has been killed beforehand… in a car!) accidentally fell off a moving train. Everything runs with clockwork precision, as it has to: after hopping off the train, Walter meets Phyllis and they leave the body on a specific spot on the rail tracks. But as they are set to leave, having ensured that nothing can tie them to the death, it looks like their car (parked a short distance away) won’t cooperate. The ignition is turned, once, twice, but all we hear is the engine groaning dully. 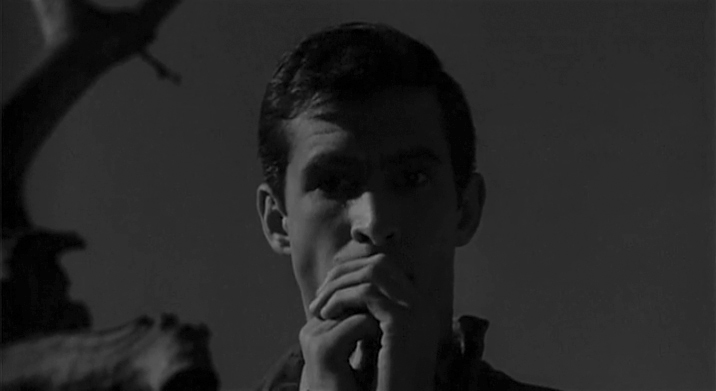 The killers are so tense they barely even exchange glances, but their faces are sweat-soaked. And then the car stops fooling around and roars into life. 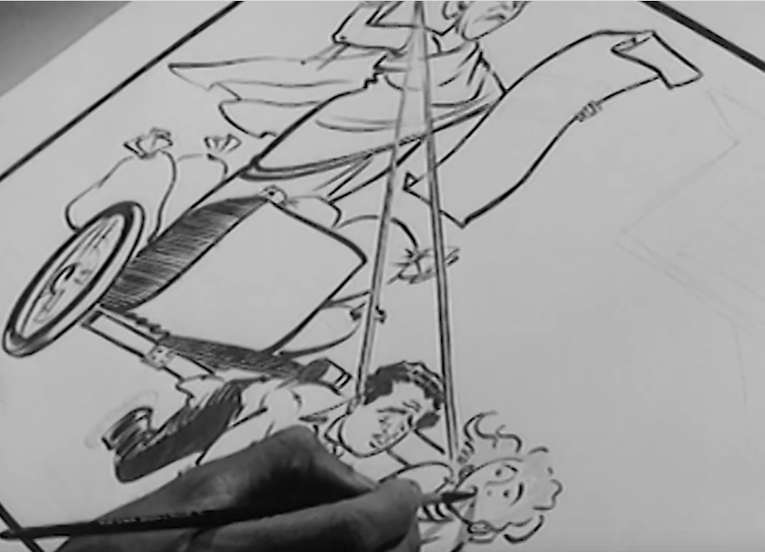 It’s worth noting that Wilder’s film has already winked slyly at the viewer before this: in its unusual (for the period) opening image, we see the Paramount logo giving way to a silhouette of a man hobbling on crutches as the credits play – long before we know anything about the characters. The car scene is also a classic example of audience manipulation. If you’re a first-time viewer and invested in the story, you have almost certainly suspended your moral faculties at this point: you’re holding your breath along with the “bad guys”, hoping that the engine will rev up. It’s similar to the effect of the famous scene in Psycho where Norman Bates rolls the car carrying a dead body into a swamp behind his motel. When the vehicle stops sinking for a few seconds, we feel tense along with Norman. 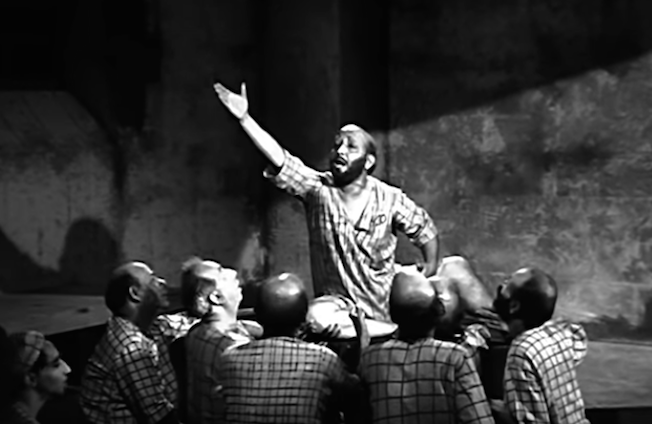 That moment is often discussed as an instance of Hitchcock’s talent for making his viewers complicit with a criminal, through the gradual building of empathy. But less discussed is another reason why we want the car to sink fully: if it didn’t, the film would effectively be over, too soon. We would be deprived of the more subtle pleasures of watching how the investigation plays out. How anti-climactic and ludicrous it would be if the very next scene had the police searching the area around the motel and finding half a car sticking out awkwardly from a muddy swamp! This is equally true of the Double Indemnity scene, but I also see it as an intersection between high drama and farce: a detached, absurdist moment which reminds us that the best-laid plans, combined with hard work, can amount to nothing if one tiny, mundane, unforeseeable thing goes off. We are engrossed in the narrative, but also at a remove from it, allowed to see how precarious the whole project is – a human story at the mercy of a mechanical glitch. Opening a new anthology, The Gollancz Book of South Asian Science Fiction, I found myself reflexively following a ritual developed in childhood. I looked at the page numbers listed on the Contents page, homed in on the shortest stories, and picked one. After finishing the story, I put a little dot next to the title, as a reminder that I had read it (this is especially useful if the anthology is a fat one), before moving on to the next, slightly longer story. I have dozens of thick books filled with those little dots. (A time-lapse video depiction of my encounters with Contents pages over the decades might begin with a close-up of a child’s hand awkwardly marking a story title with a pencil, then dissolve into a shot of an adult hand, this time holding a pen, doing the same thing on the page of a more grown-up-looking book.) Such anthologies – short-story collections, organized by genre or author – were a big part of my teenage reading life. They helped me discover some favourite writers, including Roald Dahl, Damon Runyon, Saki… and Guy de Maupassant, a collection of whose short fiction became – improbably – a treasured book. I don’t remember how I stumbled on Maupassant, but I remember the little thrill I felt when an acquaintance who knew a bit of French saw my book and, sotto voce, let me into a secret that I could impress friends and family with: the “Guy” was pronounced “Gee” with a soft G. I still have the simple-looking anthology, which was priced at just Rs 125 (in 1991). The printing and binding standards aren’t great, but it has held together. No translator’s name is mentioned anywhere in this book. And the cover, while it may have been apposite to some of Maupassant’s stories, seems like it was there purely to tantalize the casual browser: a young woman holding up a cloth in front of her, her bare back turned towards the reader. Having become a cinephile around the same time (and watching films I was too young to watch), I thought this woman looked a little like the beautiful French actress Catherine Deneuve in one of the steamier scenes from Belle de Jour. Much as I enjoyed this book, it was a daunting beast – more than a thousand pages in very small font – and looking at the little dots on the Contents pages now, I find that I have read only around half of the 200-plus stories in it. So I won’t make any grand statements about Maupassant’s body of work. What I do remember is that for me, much of his writing was “adult” in ways that had little to do with sexually explicit content. It opened a window of insight into the mysteries of adult behaviour, and examined ideas and conflicts I had no firsthand experience of at the time. Two stories in particular stuck with me, creating associations that I couldn’t have articulated as an adolescent, but which I understand better now. The first, a reflection on how the human mind moves constantly between rationality and irrational dread, was “Beside a Dead Man”, in which two men are tasked with spending the night alongside the dead body of the philosopher Schopenhauer. Unpleasant as this vigil is, it is made more so by the fact that the deceased had “a frightful smile” even in life; as the night wears on, the men are terrified by the sense of an “immaterial essence” – a soul, or something scarier? – persisting after death. Then they catch a glimpse of something white flying out of the corpse and through the air, and notice that his grin has become even more macabre than before. The story ends in an offhand manner, with a non-supernatural explanation, but that almost doesn’t matter: so tangible is the sense of fear and claustrophobia that has been created along the way. The story’s depressing climax is a dinner-table scene where Simon, his wife and children, much to the narrator’s horror, derive pleasure from the suffering of a 90-year-old grandfather who is denied the food he wants to eat because “it might harm him”. And also because watching the old man beg and cry is one of their few daily sources of amusement. As a teenager, long before I knew about the more contemptuous associations around the word “bourgeoisie”, I intuitively understood how this narrator felt. I had had a similarly disenchanting encounter with a much older cousin whom I once hero-worshipped, and discussed books and films with – but who had turned into a corporate type, incapable of talking about anything other than his business-related anxieties. And yet, rereading “A Family” recently, I found a subtle shift in my response. To a degree, I could still relate with the narrator’s dismay, and the family’s treatment of the old grandfather had lost none of its nastiness. But I also found much to cringe at in the smug superiority with which the narrator denounces the domestic life, and his description of Simon’s wife as “a commonplace mother”, “a brood mare” and a “machine of flesh which procreates without mental care”. These judgements now felt just as narrow, petty and provincial. Whether or not Maupassant consciously intended such conflicting interpretations, his stories, like so much other good literature, are a reminder of how we change with time and experience – and how what we read changes with us. 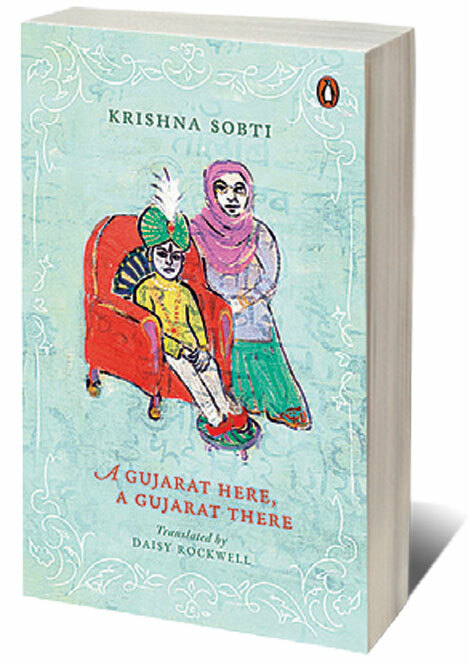 Around 80 pages into A Gujarat Here, A Gujarat There – the English translation of Krishna Sobti’s novelized memoir about a young woman seeking a preschool job in the princely state Sirohi shortly after Partition – comes a chapter that marks a shift from the narrative we have so far experienced. Up to this point, the book has been in a third-person voice, albeit a subjective or limited one that keeps us tied to Krishna’s actions and thoughts. 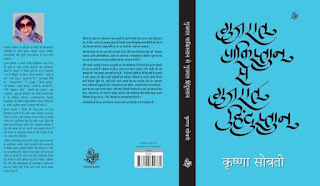 Now this chapter, printed in another font – more cursive and childlike – has Krishna writing in the first person, recalling a birthday picnic she had successfully organized for her friends during her college days in Lahore. Food and tea were ordered – from a restaurant that had its own van, which could deliver anywhere in the city – and the Principal Sahiba was persuaded to allow a riverside party. A minor boat accident during the picnic led to two boys joining the group. Folk songs, ghazals and poems were recited, everyone had a good time. But in Krishna’s telling, the party also lost some of its sheen because it grew dark very suddenly – and because she didn’t know if she and her friends would ever return to that idyllic spot for another such celebration. Is this a premonition of partings to come, one wonders, or is she writing with the benefit of hindsight, adding a dab of melancholia to an episode that was unrestrictedly happy when it took place? The sense of a childhood lost – or ending before one realizes it, in the storm of Partition – is vivid, but equally notable is how it sneaks up on us. The change in font and perspective has prepared us for something different, but as the memory-dream unfolds we yield to its languid flow. And then, in the last lines, without anything overtly dramatic taking place, the chattering of young people gives way to an ominous stillness. 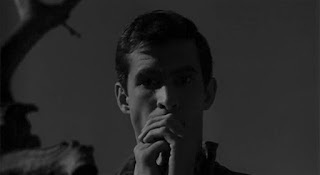 There is something very cinematic about the episode, and very haunting in the way it disrupts the main story. That story is a seemingly straightforward one. A refugee from Delhi, young Krishna – headstrong and wavering in turn – arrives in Sirohi where she must deal with self-doubts as well as some resistance from the educational director, Zutshi Sahib, who would have preferred another candidate for the job. She meets the more welcoming Divan Sahib, as well as members of the royal family; she travels on work to Ahmedabad and Bombay, in the process also spending time with some of her relatives and slipping into other distant memories; on returning to Sirohi, since the preschool has not yet opened, she is employed as governess to the four-year-old Maharajah Tej Singh, and witnesses the political intrigues and inter-clan rivalries bearing down on a way of life that is about to fade. Reading this memoir, with limited knowledge of Sobti’s earlier work, two things leaped out at me. First, the celebrated author – who passed away this year, aged 93 – was well into her eighties when she wrote this book (the original was published in 2016). Second, the playful experimentalism of the writing. Though I was personally very taken by the picnic interlude mentioned above, that isn’t the first instance of the book deviating from linear storytelling – there are other asides and disruptions. Early on, for instance, there is a long stream-of-consciousness passage, made up of disjointed thoughts about the 1947 massacres: about the many Abduls and Rams who turned on each other; how the gulistan ki bulbulein (the rose garden’s nightingales, a reference to a line from the Indian national anthem) stopped making sweet music in unison and took up knives and cleavers instead. Much later, even as the third-person narrative continues, a delicate shift occurs: where Krishna was earlier referred to only as “she” or “her”, she is now variously called “Bai” or “the Governess” or “Ma’am”, with the reference sometimes changing from one paragraph to another depending on context and terms of engagement. It is as if the book’s canvas is expanding to accommodate the perspectives of other people – the maids appointed to serve her, the child maharajah, the other royals – and her identity is being broadened from being just “that refugee girl” to something fuller, something that commands respect. Or perhaps this is only happening in her own mind? It’s possible to wonder if some of these characteristics of Sobti’s prose might have a practical source: an aging writer putting things down as quickly as possible, perhaps even conserving energy by not writing full sentences. As translator Daisy Rockwell suggests in her Introduction, this book has the feel of an old person drawing on ancient memories, including seemingly trivial ones, and setting them down simply because she remembered them and wanted to preserve them. However, Rockwell also points to the more general difficulty of translating Sobti, who doesn’t set out to make things easy for a reader by describing things at length, but often uses language in a condensed, fragmentary way to convey impressions. These formal qualities – the restlessness, the memories bleeding into each other, the shifting of viewpoints even within a broadly standardized narrative voice, the hint of fractured personalities – are well suited to a book that has the shadow of Partition over it. The title refers to two Gujarats – the Indian state that Sirohi is on the verge of being assimilated into, and the district that is now in Pakistan (usually spelt “Gujrat” in English, but spelled the same way as the Indian Gujarat for the purposes of this book). But there are other partitions here, as there are elsewhere in Sobti’s writings. Having used the male pseudonym Hashmat for some of her work (as Rockwell points out, she even took a little dig at “Krishna Sobti” while writing in this voice! ), she certainly knew about the many dualities present in people. The Krishna of this story is internally divided herself, vacillating in her early days in Sirohi (she contemplates going back to the station a few minutes after arriving) – and interestingly, when she does make up her mind, it comes from defiance, after she happens to learn that Zutshi Sahib doesn’t want her in the position. Other divides that run through this book include the one between past and present (or looking back and looking forward), between childhood innocence and adult pragmatism, between Rajputs, the merchant class and Brahmins, between the types of clothes that people wear in different states and kingdoms, between the old world where a little child may be taught how to comport himself as a ruler, and the rapidly arriving new one where there is only a proud young democracy with no time for the fancies and protocols of kings (at least not of the old variety). And there are the partitions that separate ghosts from the living, as Krishna discovers when she is haunted by the spirits of friends and acquaintances who were murdered during the riots. “Krishna Krishna,” one of them teased her when they were children, “As thirsty as a well / How much water will you pull / How much thirst will you quench / As much nectar as you drink / That’s how long you’ll live.” It’s a reminder of the pressures that the octogenarian Krishna Sobti must have carried as a living well of memories, writing furiously, using mind and pen to give voice to those whom she had survived by so many decades. 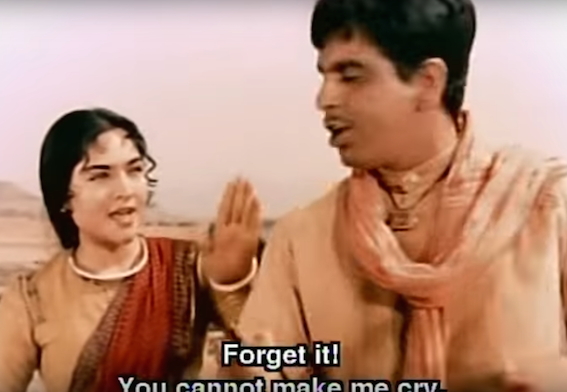 Among the many other little moments, I love the scene where a non-nonsense nanny remarks “Hamaaray zamaanay mein prem karte thay khaana khaakay, bhookhe pet nahin” when a lovelorn Anita refuses to eat. Or the expression on Sita Devi’s face when she asks “Tum Communist ho?” after Preetam makes an observation about the plight of people who have to sleep on footpaths. 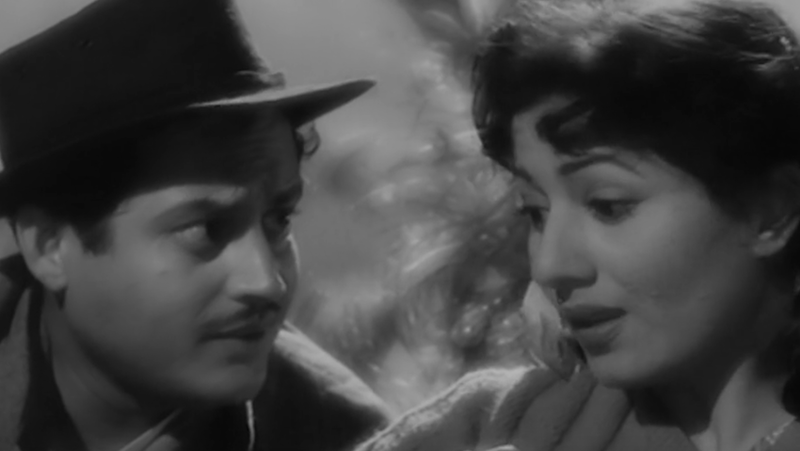 As Arun Khopkar notes in his book Guru Dutt: A Tragedy in Three Acts, Dutt often did unusual things with song sequences to incorporate them into the narrative. There are some notable instances in Mr and Mrs 55. Preetam doesn’t speak at all in his first two scenes, and the first time we see his lips move it is when he abruptly breaks into song in Mohammed Rafi’s voice (“Dil par hua aisa jadoo”). 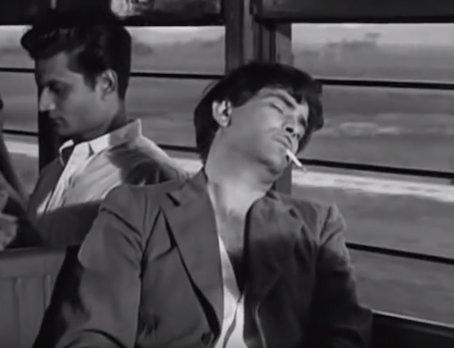 Later, the superb “Jaane kahaan mera jigar gaya ji” begins with Johnny Walker briskly picking up the phone as if he is about to report a theft, and then singing into it. And near the film’s end, two versions of the same song are wonderfully integrated into two separate situations. Here's something that puzzled me while I was reading a collection of Richard Matheson’s short stories. 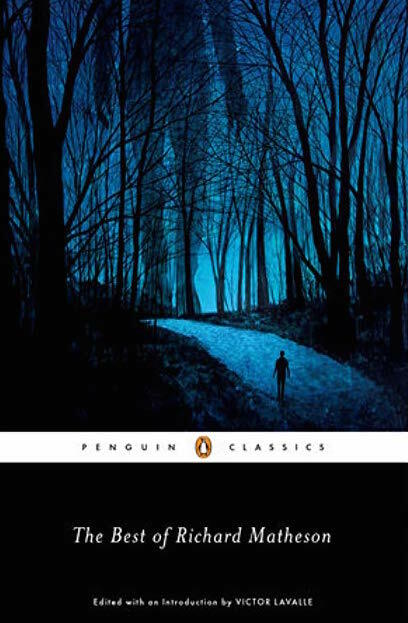 But now I have found at least seven or eight occurrences of “anyways” in separate stories — mostly written between the 1950s and the 1960s — in this Richard Matheson anthology. In suspense classics like “Duel” (which was made into a super film by the young Steven Spielberg), “Nightmare at 20,000 Feet”, "Shipshape Home" and “No Such Thing as a Vampire”. It’s clear that Matheson routinely used the word, and not just in quoted speech. Having read a lot of American and British genre/pulp writing from the 1920s through the 1960s, I can’t offhand recall other instances of this usage. Also, I rate Matheson a lot higher than many of the other “pure pulp” writers who wrote mainly for the cheapest magazines of their day, and much of whose work has not endured. (Read Matheson’s short story “The Doll That Does Everything” for a sense of the brilliantly zany and bold linguistic flourishes he could pull off when it suited a situation.) So it felt even stranger that his work should contain this satanic nonword. Anyone who has come across other such cases in 20th century literature? P.S. Researching, I learnt that “anyways” is a modification of “anywise”, which was used as far back as the 13th century. But it still feels like the current, slang-ish, 21st century version has a different provenance. It conjures up the image of young people, too lazy or privileged to complete a sentence without a servant to help them do it, curled up on a beanbag in Cafe Coffee Day, staring into their phones and thinking “What’s the point of life anyways?"